It is a celebration of Iranian cinema on this episode of the show. First up we seem to have Ana Lily Amirpour’s A Girl Walks Home Alone at Night on the brain as Courtney’s short film, Kevin Hamedani’s In Her Place, stars Shelia Vand, who famously played the lead in Amirpour’s breakthrough film. Andrew opts for a more direct connection with his short film selection, Milena Pastreich’s I Feel Stupid which was written by Amirpour. For our main discussion we dive into the murky marital waters of Asghar Farhadi’s 2006 drama Fireworks Wednesday, a tale of a house cleaner who gets more than she bargains for when her latest job unexpectedly places her in the middle of a domestic dispute between her new employer and his wife. If you like what you hear, or want to offer some constructive criticism, please take a moment to rate our show on iTunes. 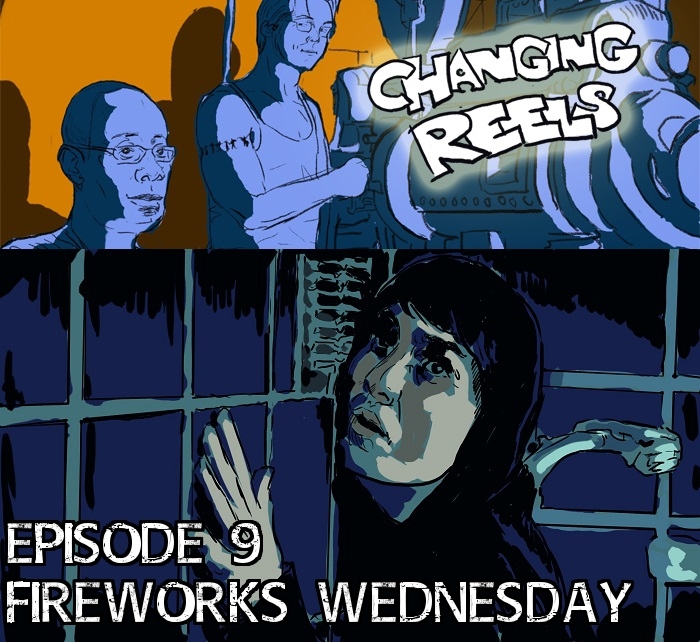 If you have a comment on this episode, or want to suggest a film for us to discuss, feel free to contact us via twitter (@ChangingReelsAC) or by email (Changing.Reels.AC@gmail.com). You can also find hear our show on SoundCloud or Stitcher.